5 truly crazy tech products you never knew you needed. And don't. Most of the tech pitches I receive fall into a few categories: 1) Wow, that’s super cool 2) Hmm, possibly, I’ll take a closer look and 3) Eh, no thanks. But with the proliferation of crowdfunding campaigns and sheer numbers of tech products being developed and pitched daily, the formation of another category has taken shape. 4) What on earth??? I now realize it’s my duty to share them, if only for a look into what’s on the minds of tech entrepreneurs these days and which problems they are trying to solve, even if they’re not really problems. Or hey, maybe one of these items will appeal to you. Who knows. 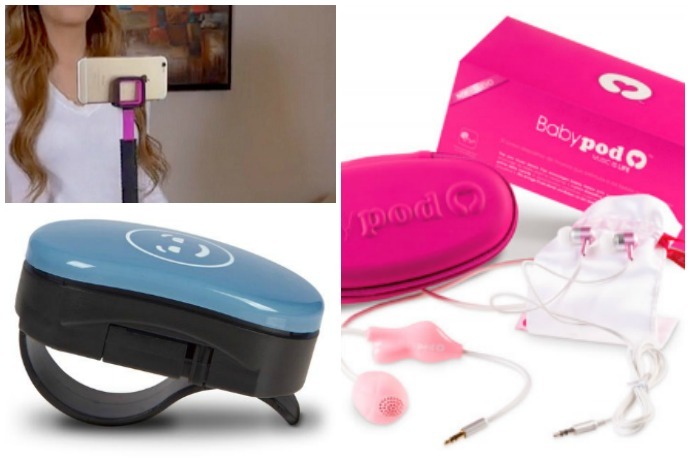 So in no particular order, I present 5 of the most unusual, crazy tech devices that I’ve come across lately, with some observations from both me and my Cool Mom Tech editors who have a lot to say about them too. And yes, these are all real products. Jeana: There’s no doubt that babies in utero can hear sounds, voices and music. 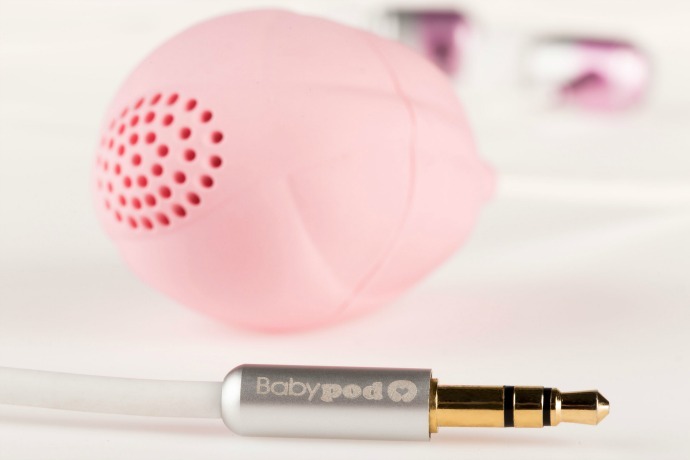 I have seen products like the Ritmo Belt and Belly Buds that allow a developing fetus to listen to music when it’s strapped to your belly, but never anything like the Babypod, which lets you play that favorite Brahams lullaby or Vampire Weekend song, um, internally after you’ve inserted the speaker. The aim is to “stimulate vocalization” it seems. Editors: After 40 weeks of all kinds of stuff going up inside you when you’re pregnant, who knows — maybe one more thing isn’t a big deal to some of you. But we’re going to say no way to this one. Babies have be born perfectly happy and well-adjusted without their own intravaginal playlists for millennia, and we imagine they can continue without them for a few more. If you have money to spare, instead make a donation to an organization that really helps babies in need. Jeana: I’m not sure what surprises me more – that someone has developed a broom that lets you take selfies or that a lot of people have actually funded this on Kickstarter. I do like the original premise — a broom that can stand upright on its own — but then I have no idea why they added in features like a clip for taking selfies or hanging alert signs. Determine for yourself whether the “SelfieBroom makes sweeping more fun,” but I’m not sure we’ll be seeing the Kardashians sweeping and selfie-ing anytime soon. 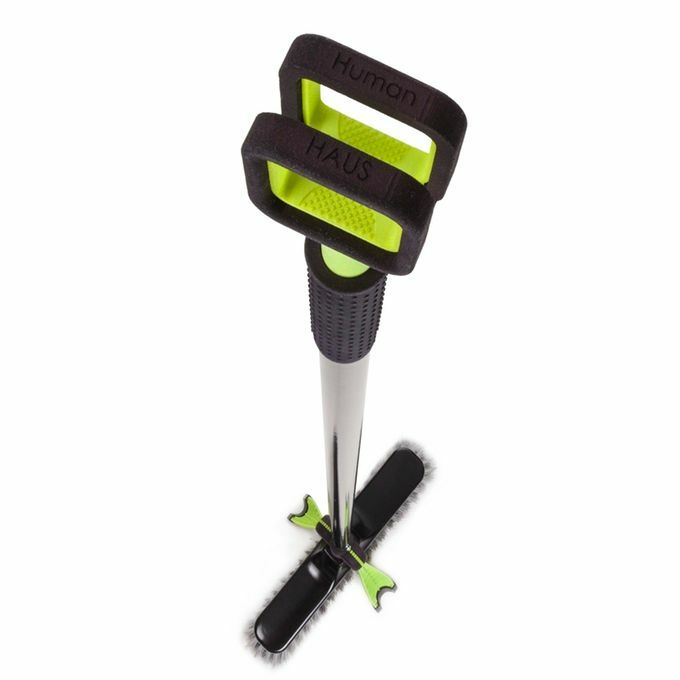 Editors: We agree with Jeana that we’d totally buy a broom that stands up by itself with a kickstand holder — though probably not for the $50+ retail price that’s being suggested. If we could lower the price and just have a self-standing broom we’d be all over it. Also, while we appreciate the alternate usage suggestions even beyond selfie holder to help justify the expense…a coat holder? Really? If you’re still of the age that you’re hanging your coat on your cleaning appliances, you can’t afford a $50 broom in the first place. 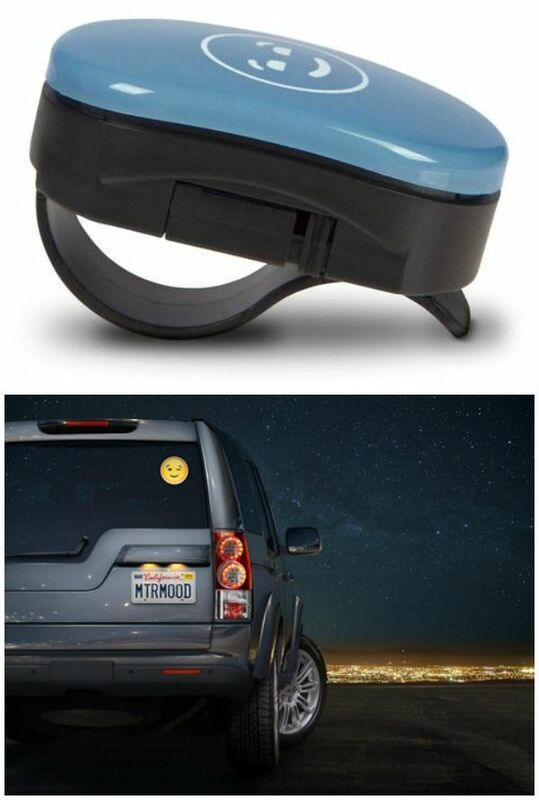 Jeana: The Carmoji is designed to attach to your rear window and using a wireless remote that attaches to your sun visor, you can flash an emoji to the car behind you — either a smiley face, thumbs up or winky, based on the specific face plates you have chosen. I’m all about more friendly drivers on the road, which is why the mission behind this product is a noble one, but is this taking it too far? Doesn’t an old-fashioned “thanks for letting me in front of you” hand wave suffice? Do drivers really need one more distraction? Editors: We can just imagine the DON’T FLIRT AND DRIVE public service campaign that would come out of the unexpected consequences of a product like this. The passing lane is not your own personal mobile Tinder, folks; let’s just focus on driving when we’re in the car, shall we? (It’s bad enough that you can send messages using Waze while driving.) Although we do appreciate that the company hasn’t included a middle finger emoji or the smiling poop, because the only thing worse than a winky Carmoji might be an antagonistic Roadragemoji. Jeana: This $99 Bluetooth-enabled cup will provide you with status updates on your water consumption throughout the day. So you no longer have to rely on those outdated cues like gee, I’m feeling thirsty. Now, you can just check an app to tell you to take another sip! Like the SelfieBroom, this is another product that seems to be solving a problem that isn’t really there and doing it rather expensively at that. Editors: Whoa… this thing is $99? We’re sure the “durable Eastman Tritan copolyester shell reinforcement” is an outstanding feat of water bottle engineering, but for $99 we could buy a top-of-the-line portable water bottle for every member of the family and just say, “don’t forget to drink water” for no money at all. 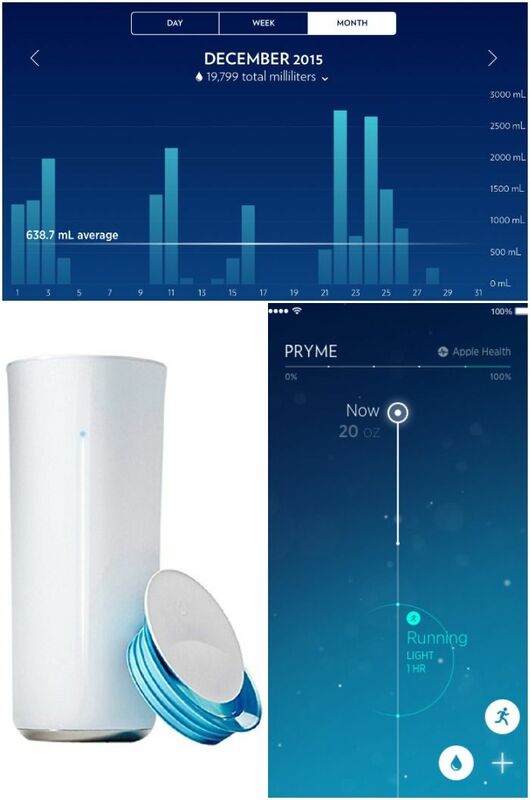 Also, you have to keep the Pryme Vessel charged ($20 Charging Coaster sold separately) so unless it comes with a reminder to charge the bottle so that it can remind you to drink the water inside, we predict we’d all fail at high-tech hydration, miserably. 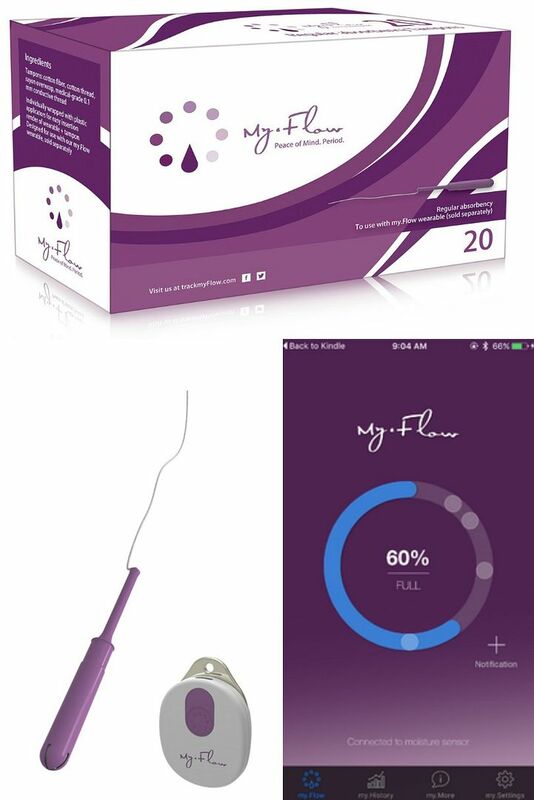 Jeana: If you are not among those truly invested in the growing market for high-tech “menstruation innovation,” you will be fascinated with the my.Flow Tampon Monitor. (“Tampon Monitor.” Let that sit with you a moment.) It provides updates on saturation levels and when your tampon needs changing, thanks to an extra long string that connects to a Bluetooth monitor that needs to be clipped onto your belt. All the data you’d ever need about when to change your tampon will then appear on the companion app — should you be able to sneak a peek at it in the middle of AP English. Editors: If you’re newish to menstruation, we can see how you wouldn’t yet have a sense of how heavy your flow gets and when. Then again, that may be the time you’re least likely to want a Bluetooth-connected tampon string hanging out of you, another device to juggle, and a (semi-embarrassing) app you wouldn’t want friends to see installed on your phone. Our advice to young teens from these BTDT former teens: Give it a few months. While Gizmodo and Teen Vogue seem to be fans, we guess we’re just old-fashioned that way. Eventually, you’ll get to know your body without the help of technology, and we think that’s a good thing. And hey, if you’re really worried? Old school pantyliners are an affordable, effective wingman so to speak, if you need some backup.